SAM7 receivers are milled from a hot-die hammer forged receiver blank by the Arsenal Co. of Bulgaria. Other milled-receiver AKs are machined from bar stock, but Arsenals hot-die hammer forging produces stronger and finer-grained steel. Internal voids and cooling deformations are eliminated by the 5-ton hammer forging process. 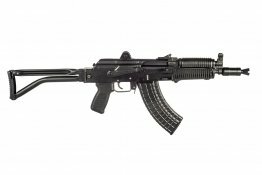 The SAM7SFK-80 rifle is a semi-auto version of the Bulgarian model AR-M4SF with the NEW Arsenal Gambit attached which extends the barrel and enhances the firearm. From the right side folding tubular Buttstock to the vertical Front sight / gas block combination, this is truly an authentic Bulgarian rifle. 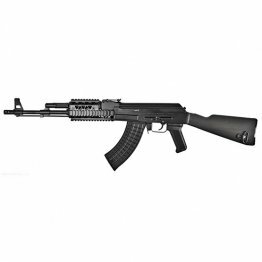 The SAM7SFK-80R rifle is a semi-auto version of the Bulgarian model AR-M4SF with the NEW Arsenal Gambit attached which extends the barrel and enhances the firearm. The furniture consists of the PR-03 Picatinny Quad Rail and a right-side folding metal tubular stock. Original pistol grip made to work with the ambidextrous safety lever allows the shooter to operate the safety even when the buttstock is in the folded position. 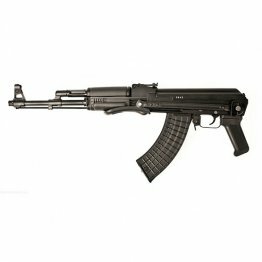 From the right side folding tubular Buttstock to the vertical Front sight / gas block combination, this is truly an authentic Bulgarian rifle.